Taiwan is a global leader in recycling. It's a shame so few seem to know it. When one is asked to identify the nations that lead the world in the greening of their economies, countries such as Germany tend to spring to mind for most of us. In fact, it is generally the nations of Western Europe and Scandinavia that are recognized as de facto leaders in recycling, sustainability, and green in-dustry. Unbeknownst to many, however, Taiwan has quietly surpassed a majority of these countries in its rates of recycling, putting the island nation in the top three of most global benchmarks. You might be skeptical, and if you are I don't blame you. For all that Taiwan is achieving in the greening of its economy, the island does not have much of a reputation for green leadership. The truth is that many still associate Taiwan with a dirty past. A time when economic performance took precedent over envi-ronmental protection. Unfortunately for Taiwan, the nation's reputation remains stuck in this past, due in part to Taiwan's lack of assertiveness in marketing its recent achievements. Taiwan is a world leader in recycling. It's time for more people to know it. Did you know? Taiwan has the world's second highest effective recycling rate, second only to Germany. Taiwan citizens produce on average 0.4kg of waste per day, down from 1.14kg two decades ago, and far below today's global average of 1.2kg per person. 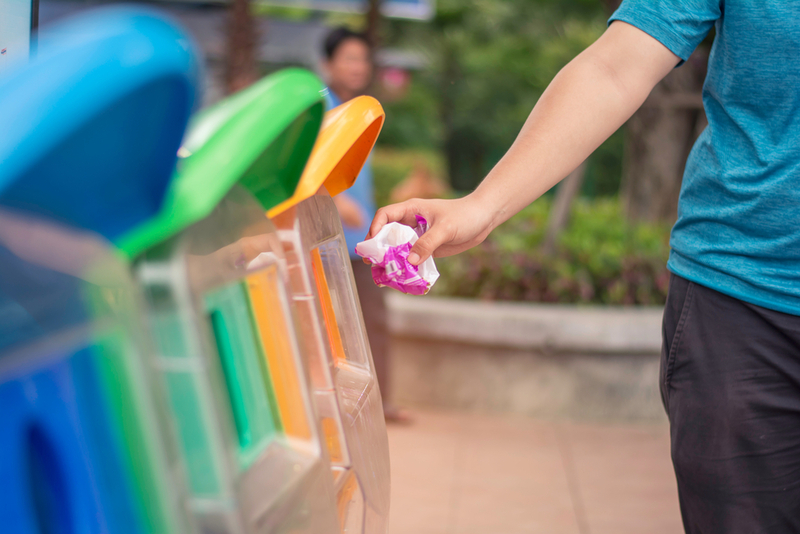 Taiwan has reduced the amount of waste entering land-fills to less than 2% of total generated waste, converting former landfill sites into parks and community centers. Taiwanese industry, meanwhile, recycles an impressive 80% of its own industrial waste and the island now boasts more than 2,000 registered recycling companies, up from fewer than 100 a decade ago. Taiwan has gone from laggard to leader in the span of a decade. Unfortunately, Taiwan's reputation for leadership in recycling has not kept pace. While the average citizen of Taiwan will cite Germany as the standard-bearer of recycling, there are, despite the recent news coverage, few Germans who would say the same of Taiwan. And, in spite of the fact that all of us in Taiwan have participated in the transformation over the last decade, too few of us here fully appreciate the significance of these achievements, or recognize the opportunity for Taiwan to lead the world into the next era of recycling. The situation today reflects many of the same challenges Taiwan has been facing for decades. Whilst the nation has highly innovative companies, a talented workforce, and world-class process engineering, the country's capabilities continue to remain little known to those outside of Taiwan. A lack of international awareness of Taiwan's leadership in recycling would not only be a shame, it would be a missed oppor-tunity for Taiwan's green technology and service providers to lead the way in what is predicted to become a multi-trillion USD market by 2020. Now is not the time to be humble. If Taiwan wishes to win any significant part of the green technology and environmental services market, the country will need to be known by citizens all over the world as a global steward of green and sustainable practices. To raise Taiwan's profile, the government should in-troduce a decade-long, global public relations campaign designed to raise awareness for both national and corporate-level achievements in recycling and sustainable practices. Recent news coverage like that in the Wall Street Journal is a step in the right direction, but much more will be needed if Taiwan desires to attain Germany's reputation. At the same time, Taiwanese corporations involved in all aspects of the green economy must themselves be more proactive in building exposure for their services and capabilities in overseas markets. Stories such as Far Eastern New Century's involvement in the development of the Adidas shoe made from recycled ocean waste, which is known only here in Taiwan, must become common knowledge to people around the world. With Taiwan's remarkable recycling transformation well under way, we are in an ideal position to move ahead of other nations with the implementation of ever more comprehensive management policies and with trials of new and advanced technologies. Initiatives put in place by our current government have the potential to turn Taiwan into the world's greenest economy within the next decade. We should take pride in what has been achieved and what will be achieved in the coming years. We must also have the conviction to ensure the world knows it too.